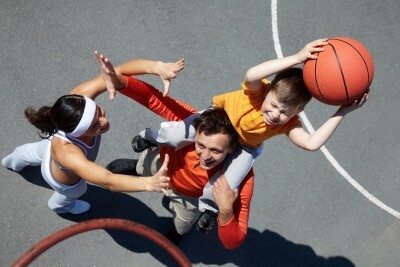 Busyness is the unavoidable byproduct of the youth sports lifestyle. 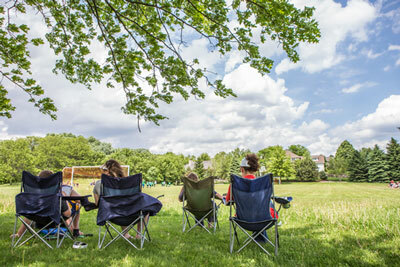 For sports parents, time is a premium commodity. If you’re looking for more hours in the day, I’m afraid you’re out of luck. However, here are some tips that can save you time as you parent your athlete. This may not seem like a time-saving tip, but it is indirectly. If you can adapt this mindset, then letting go of a certain amount of order will allow you more time to enjoy your family. Many weekends, the vacuuming did not get done because I was off at another tournament. Many nights, the laundry was not folded as soon as it got out of the dryer. We survived. Many websites can help with this. There are even companies who deliver the ingredients to prepare simple meals. Another option is to cook ahead of time and stick some meals in the freezer, then bring them out at a moment’s notice. If you are a very particular cook, you may have to compromise your standards, substituting efficiency for gourmet quality. Have stadium seats in the car, always. Keep a first-aid kit and a bag with extras, like socks, deodorant, hair bands, even a pair of sports shoes. Because no matter how many times you tell your young athlete to put their shoes in their bag, they will still forget them one day. As soon as you get the season schedule, put it in your personal planner, then post it on the fridge or a family calendar. Highlight each child’s events in a different color. This helps cut down on scheduling conflicts. At the beginning of each week, sit down with your spouse or family and look over the schedule. Figure out where you might need to ask for carpooling help to practices or where you might need to leave work early to be at a game. The best way to save time is to think and plan ahead. You may assume that you don’t have time every day or week to do that, but I think that you’ll find the few minutes spent in planning will save you much, much more in the end.